PRP has been in the news a lot lately. From vampire facials to joint injections in NBA and baseball stars, PRP (platelet rich plasma) appears to have quite a bit of promise. Surprisingly, one of PRP’s most promising uses is in hair restoration. Hair loss affects over 80 million women and men in the United States. In our dermatology clinic, hair loss is one of our most commonly heard patient concerns. Hair loss is caused by multiple factors, including genetics, inflammatory conditions, emotional stress, and hormonal issues. One of the most common causes of hair loss is androgenic alopecia, also called male- or female-pattern hair loss. Can PRP help regrow hair? When PRP first came out on the market, I had my doubts about its use for hair loss. 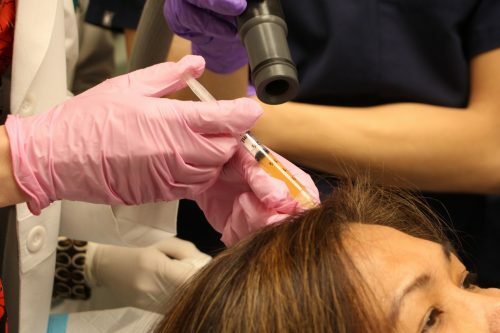 However, in the past few years, there have been multiple studies showing that PRP can be a safe and effective option for male- or female-pattern hair loss. Based upon this strong and mounting scientific evidence, we are happy to introduce PRP for hair loss at Cosmetic Laser Dermatology. PRP is believed to stimulate hair growth by prolonging the growth phase of and improving blood supply to hair follicles. Below, I’ll go through the PRP procedure for treating androgenic alopecia. 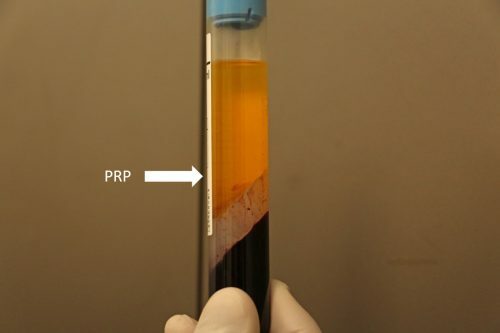 Basically, PRP is a highly concentrated platelet portion of your blood. When your blood is drawn and spun in a centrifuge, a portion of the cells will be platelets. These platelets contain growth factors that are capable of increasing collagen production. Then, we use your own growth factors to help regrow your hair. 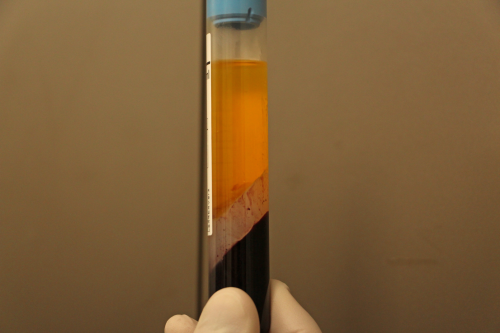 How do we perform PRP therapy? 1) Draw a blood sample. 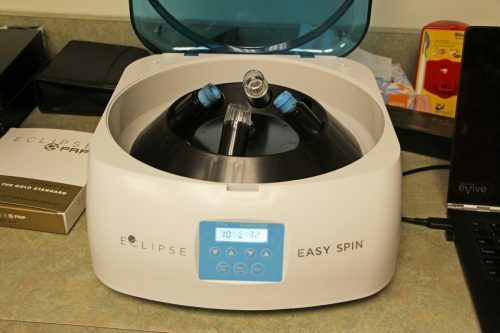 2) Centrifuge the blood sample to fractionate, or separate the different components of, your blood. 3) Collect the platelet enriched portion of the blood. 4) Inject the PRP into hair loss areas of the scalp. For patients who are good candidates for hair restoration with PRP, usually 3 treatments spaced 1 month apart are required. Then, touch up treatments are performed after 6 to 12 months, depending on a patient’s response to treatment. The total time in clinic is about 30 minutes and you can do all your normal activities, except avoid exercising for one day. For optimal results, I normally combine PRP with other hair loss treatments. With PRP added to our treatment repertoire, are we entering a new age of hair restoration? Contact us today to learn more about this exciting new treatment option.